Connecticut High School Hockey: Welcome Back Ya Beauts! Welcome to another high school hockey season in Connecticut! With some divisional realignment, usual powers losing some "power", and transfers galore this season looks to be one for the ages. I'll cover some of these stories in this article but stay tuned to the blog and @CTHSHockey on Twitter over the next few weeks. During that time, I will post team capsule previews for each team in the state, a first for this blog. Also, look for my preseason "State" Top 10 and my D2/D3 Top 10 as well as the preseason All-CTHSHockey teams. Northwest Catholic continues to climb the division ladder. Where do we start? How about divisional realignment! All and all 11 teams moved in one way or another. After a disappointing quarterfinal exit in the Division II state tournament last season Northwest Catholic has continued their ascent and now find themselves one of 16 Division I squads. Coach Dan Melanson and the brass at NWC certainly don't shy away from the spotlight. In now three years the Indians have jumped from DIII (where they were most recently runners up in the 2011-12 season), to DII last year and now DI. While Melanson loses some firepower with the graduation of his son Patrick and linemate Jeff Greenwood, that would surely help with the adjustment, he returns one of the state's hidden gems in Demitri Yao, a 44 point scorer a year ago. Northwest Catholic's jump to DI paired with Cheshire and North Haven dropping down to DII, leaves Division I with a nice round number of 16 teams. Speaking of Cheshire, the two time Division II champion and one time Division III champion, heads back to where they found recent success. It wasn't for a lack of effort last season for the Rams as they lost many a close affair. The move, paired with a solid returning core seems to have them set up for some immediate DII success. North Haven also sputtered at the Division I level and will drop down to the hotly competitive Division II ranks. These Indians haven't had a "good" season at the Division I level in close to five years going 39-56-5 over that time. But they aren't the only schools moving to Division II. A pair of well-known DIII squads are making the jump up following great success at the DIII level. Newington-Berlin and Bolton-Coventry-Rockville (and if you're a stickler for me using the correct order in discussing the co-ops, go away. They'll be jumbled all year) are moving up to DII after most recently facing off in the DIII state championship, a 1-0 New-Ber victory. Many will say that this is a year late for Newington-Berlin, but they accomplished all they could at the DIII level. There is no reason to think these teams, with what they're returning won't be competitive at the DII level while really having the potential to sneak up on some teams. The only outlier with these two could be in net. Both teams lost all-world netminders in NB's Drew O'Leary and BCR's Cam Earle. Finally, a cohort of six squads will move from Division II to Division III this season. Newtown would have to be the most surprising of the bunch, fresh off a respectable 10-10 season, they toppled #1 seed Amity in the first round of the DII state tournament last year. The other teams making the drop include Stamford, transfer riddled Staples-Weston-Shelton, Tri-Town, Westhill and Wethersfield. HOW POWERFUL WILL THE POWERS BE? There was no doubt last season who the state's best two teams were. Like, seriously, no debate. Fairfield Prep and Notre Dame-West Haven faced off in the Division I final with the Jesuits taking the NDWH for the fourth and most important time, 3-2. But both teams will look drastically different come puck drop in mid December. Prep, less than NDWH, however. The Jesuits return senior goaltending tandem Matt Beck and Chris Gutierrez as well as surprisingly competent junior Jack Taubl who could push for playing time. The Jesuits reload better than any team in the state. The appeal and success that go along with playing for Prep certainly make players want to flock to the Wonderland. There is plenty of hangover talent left on this squad but we'll get more into that during capsule/preview time. NDWH on the other hand certainly has felt the anguish of the prep schools/juniors impact that is felt on CIAC hockey players. After an earth shattering junior season, Billy Vizzo left the Green Knights to play with the U20 Bay State Breakers of the USPHL. This was kind of expected. Then NDWH-ville was handed the message that stud defensemen Lou Iannotti opted to forego his senior season to play with the Wolf Pack of the MJHL. Paired with the graduation of two starting goalies and top line talent Greg Zullo as well as coach Bill Gerosa stepping down, one would think all would be lost in Knights land. Not according to new head coach Tim Belcher, formerly of Lyman Hall-HK, and captain Matt Dumas. Dumas believes the boys will be ready. "We may not have as much talent on paper as last year, but we will be a hard working team, grinding it out," Dumas said. "Coach Belcher brings a high intensity mentality and will have us well conditioned for the start of the season," he continued. With the overhaul of the rest of the state, there's no reason to think a rematch of these two is a distinct possibility. 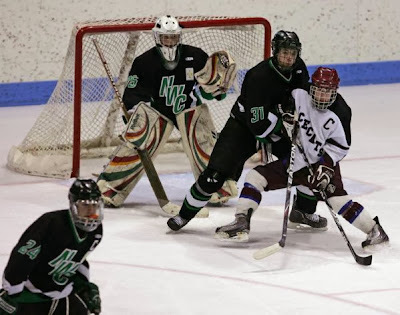 Early on though, the advantage has to go to Prep, simply because of their stability in net and the continued dominance Coach Sather has had over the state. Notre Dame-Fairfield is certainly one of the most intriguing teams to take a look at this season. The Lancers could have one of their best squads entering a season in recent memory. So what if I told you they are this highly regarded even without the services of stud junior goalie and Canadian import Stone Denbok? Denbok, left ND Fairfield due to some academic problems shortly after being named a Lancer captain. He is currently with the Brewster Bulldogs. His absence would appear to leave a huge void in net for NDF. But, not so fast sweetheart... the Lancers have a small army of goalies attempting to fill that spot. These include and are not limited to returning Denbok back up senior Justin Krochko, who saw all of 46 game minutes last season, East Haven transfer goalie and senior Zac Bouve, known for nearly knocking off NDWH in last season's DI first round when he back stopped the Easties to the tune of 65 saves, Staples senior transfer Jesse Burns and dark horse Sean Rowland. The Lancers also have a bevy of freshmen competing for back up duty as well. It doesn't stop there. 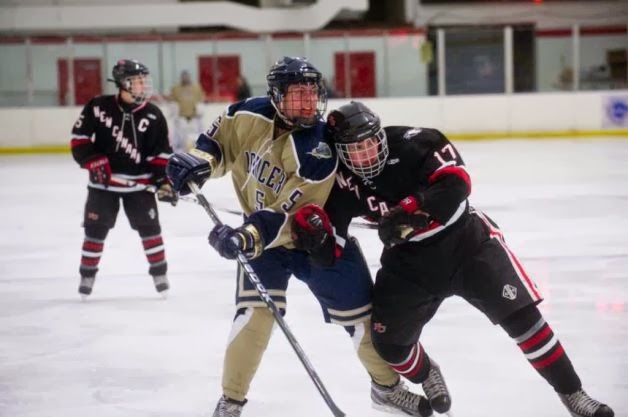 The Lancers return one of the state's most unheralded talents in captain Christian La Croix, a solid D core, and welcome a troop of transfers. These include top line talent Ryan Garwicki (Staples), defensemen Seamus O'Rourke (Stamford/CT Oilers), high ceiling forward Tyler Henchcliff (Staples) and Brenden Barger. If nothing else, it sure will be entertaining watching the Lancers pour over the boards this year as well as see who emerges from that goalie gauntlet. DIII added a team this year, not from the DII ranks but from the junior varsity ranks. 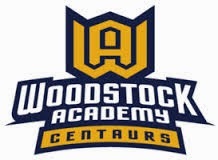 Woodstock Academy will have a varsity boy's ice hockey team for the first time this season after competing in the JV ranks last year. For years, a committee has been organized trying to rally support for ice hockey at the school. Looks like it paid off. Congratulations Woodstock Academy! Now please, someone get me some information on this school. Daniel Hand had a solid season last year. The team went 11-8-3 on the ice, won the SCC Division II Tournament and showed glimpses of brilliance throughout the season. But the most enigmatic part of the Tigers bench is gone. After one year, coach Ryan Hardy won't be gracing the Tiger bench. Hardy was forced to resign last season after the school decided to go in another direction. Hardy came under fire multiple times for yelling at officials and even other coaches. Hardy also should be lauded for showing an overwhelming passion for the game that few coaches at this level show and most opposing parents can't handle. I may be editorializing but I've spoken to a fair number of Hardy's boys, his players and they echo, in large part, that sentiment. It's not easy to replace that but Hand will try. 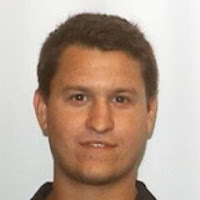 They've brought in Ken Mitchell, a Fairfield Prep graduate who just finished his ninth year as an assistant for Masuk. Hand should be a favorite at the DII level with Kane-esque talent Ben Solin weaving around the ice and brick wall Chase Briggs in net but Mitchell is going to have some unique shoes to fill. After running off back to back state titles in 2009 and 2010 the Hamden Green Dragons have struggled a bit over the last three years. Hamden is one of the state's most proud programs. They have appeared in 24 state title games and won 17 of those. They've produced NHL talent and built a stigma as well as a town-wide love for the game. But over the past three years the Dragons have only won 31 of 59 games (31-22-6). Compared this to the previous three years, two of which led to state titles, when they went (44-12-3). It's not for lack of effort or love of the game in Hamden. It's a disturbing trend that may soon plague all public hockey high schools. Kids are leaving early, leaving schools like Hamden struggling to consistently compete with teams they were once entirely comparable to. Take a look at Hamden over the past two seasons. Two years ago after solid sophomore campaigns defenseman Mike Lee leaves for Gunnery and Jeremy Germain takes off for Choate. Lee has since signed on to play at the University of Vermont. Hamden could have desperately used their services last season. After this past season sophomores Joe O'Connor and Tyler Carangelo leave for Westminster and Avon Old Farms respectively. Conceivably, all four of those guys could be lining up for Hamden this year, making them undeniable state title favorites. But it is the way things are now and I don't see it changing any time soon. Why is it that Ffld Prep doesn't see the level of defections to Prep schools or Minors as they other schools? Last defection I can recall from Ffld Prep was Arcobello about a decade ago. Last year Brophy left for Westminster and Berkshire also had a couple of kids. It happens there as well but with the depth of their team it's less noticable.